BARNEY ERROR!! THIS IS A BARNEY ERROR!!!!!! 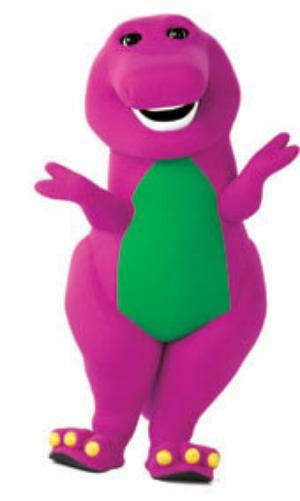 Barney speaking. I LOVE YOU, YOU LOVE ME. LET’S DESTROY THE PPN, WITH A GREAT BIG HUUG AND A VIRUS NAMED PAVA, WONT YOU SAY BYE BYE? HAHAHAHA! Baby Bop and the others will get your accounts soon! Until you surrender, I will have the entire gang control your accounts. Baby Bop gets Cuddly Lion. BJ gets HPuterpop, and I will configure the rest. NOW START COWERING IN FEAR AS I SING MY I LOVE YOU SONG! I made this post sticky so you all cower under the rule of BARNEY! ← Let’s Wear Costumes and Meet Strangers, I Guess? And now it is time to transform the blog into Barney Land! Any clue to unscrabbling these letters? Sjwwnbarneywillperishlsemsj. Please review the Chat Rules found in the Police Lounge. Good character and conduct is expected on and off duty. Thank you fellow citizens for your compliance. Enter your email address to receive notifications of new investigations as they develop. The PPN blog is intended solely for entertainment purposes. This is a role playing web site that is entirely fictitious. Poptropican Citizen, your role as viewer or contributor will not hold PPN liable or responsible for content within the context of this site. By visiting the PPN, you agree to promote unity and peace within the Poptropica Community. 2014 Poptropica Police Network | PPN www.poptropicapolice.wordpress.com is not an official site of Poptropica. All copyrighted material, trademarks, and other proprietary information are owned by or licensed to the Family Education Network (FEN), a division of Pearson Education, Inc.